It’s that time of year to make everything pumpkin! 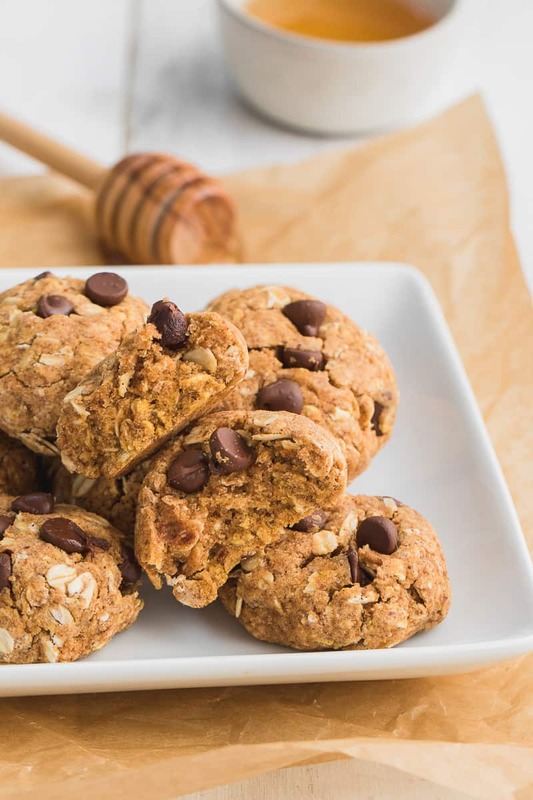 Like these Healthy Chocolate Chip Pumpkin Cookies. 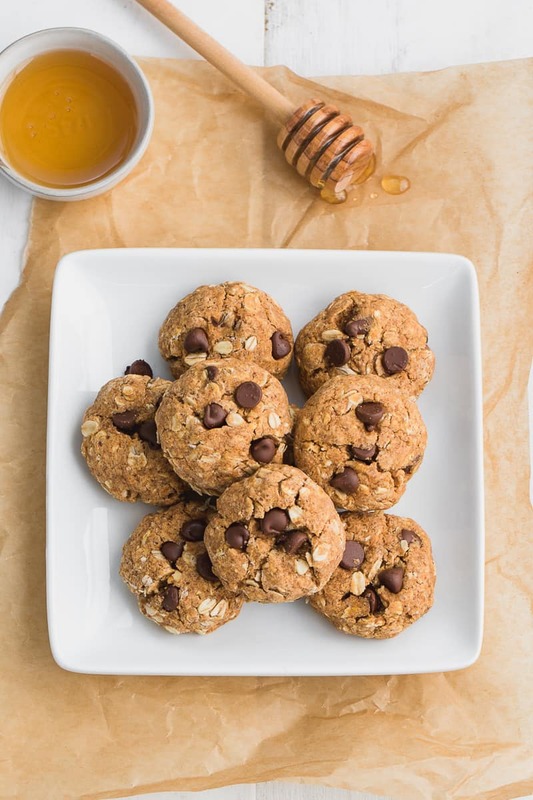 This cookie recipe is easy to make, super soft, gluten-free and vegan. It has a delicious pumpkin pie flavor in them that will surely become your favorite fall recipe. My twins love Pumpkin Pie but unfortunately, my 3 other children won’t eat pumpkin pie. 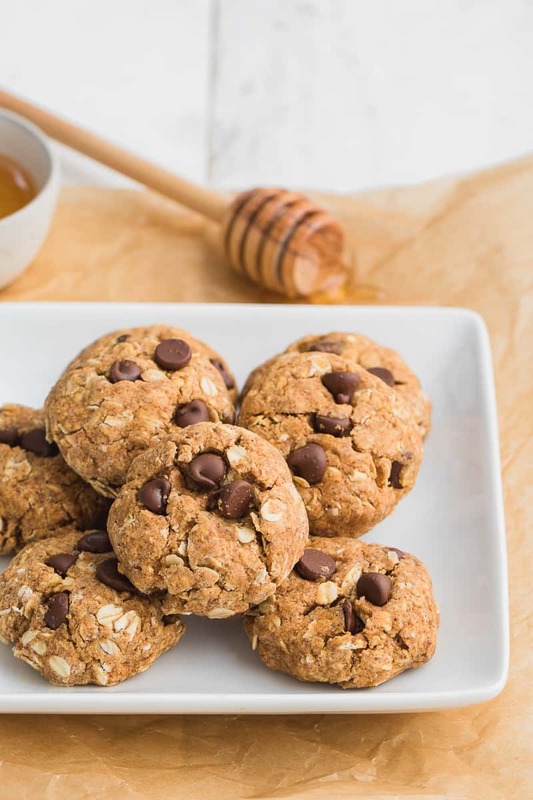 So these Healthy Chocolate Chip Pumpkin Cookies were just the perfect combo that they all love. I think there isn’t a kid out there that doesn’t love cookies! 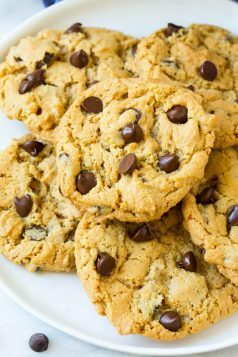 We’ve made a few cookie recipes other than these Healthy Chocolate Chip Pumpkin Cookies that have been a great hit. 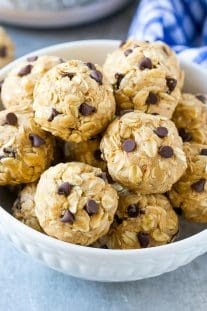 Like these FLOURLESS PEANUT BUTTER CHOCOLATE CHIP PROTEIN COOKIES. The aroma that comes out of the oven while these Healthy Chocolate Chip Pumpkin Cookies are baking is just amazing. If you don’t need these Cookies to be vegan or gluten-free please see my notes below on some substitutes. I honestly snack on these Cookies all day. They can be so addicting! If you have a large family like I do you can make double the amount by simply doubling up on the ingredients. I hope you love this Healthy Chocolate Chip Pumpkin Cookies recipe as much as we do! If you make them please come back and let me know what you think in the comments below. 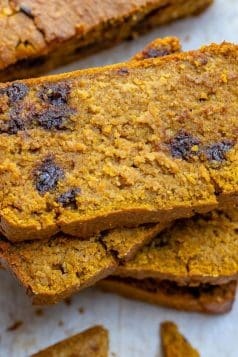 This Pumpkin bread is to die for. 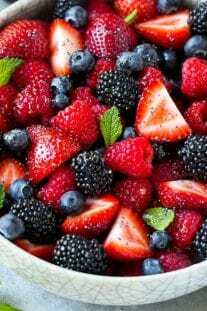 You will not go wrong with this recipe. It so flavorful and super moist. 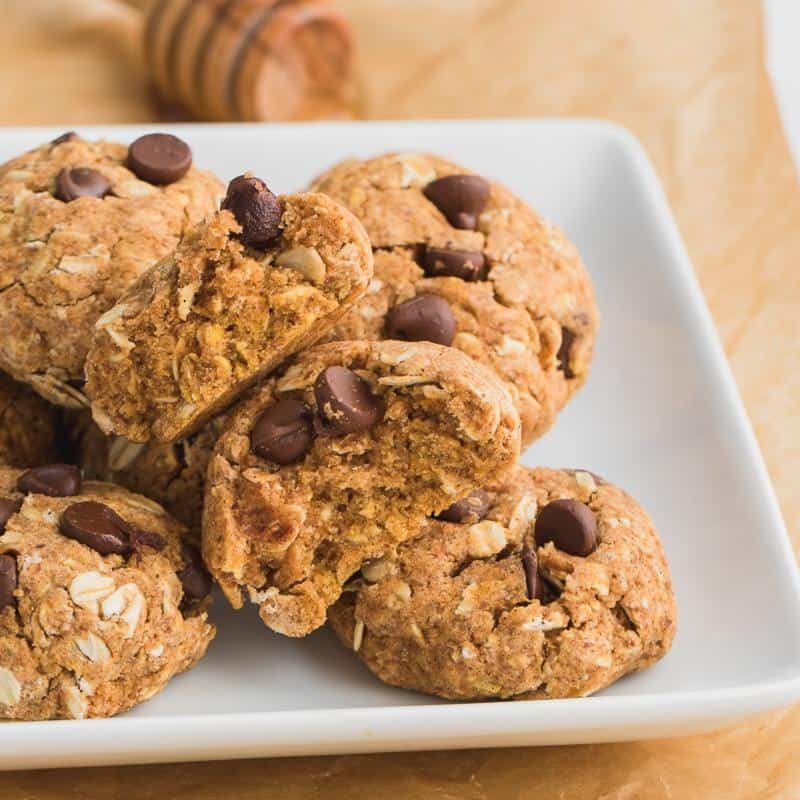 Easy to make, soft and cake-like cookies made with oatmeal, Pumpkin puree, and chocolate chips. In a mixing bowl, stir together all dry ingredients (except chocolate chips). Add in the wet ingredients and mix until a dough forms. Separate the dough into 9 evenly sized balls and place them on the baking sheet. Press them down just slightly. Bake for 11-12 minutes. Let cool before serving. 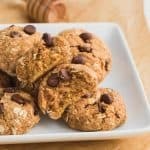 1- For a non-Gluten-Free version of these Healthy Chocolate Chip Pumpkin Cookies, you can use whole wheat or oat flour. 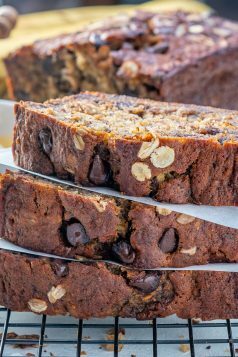 2- For a non-Vegan version, you can use dark chocolate chips and honey in place of the maple syrup. Follow me on Facebook, Instagram, and Pinterest so you don’t miss any of my posts! Also, keep tagging me on your remakes with #healthyfitnessmeals hashtag. I would love to see your creations. I did it, and it was great! Thanks for charing your recipes!